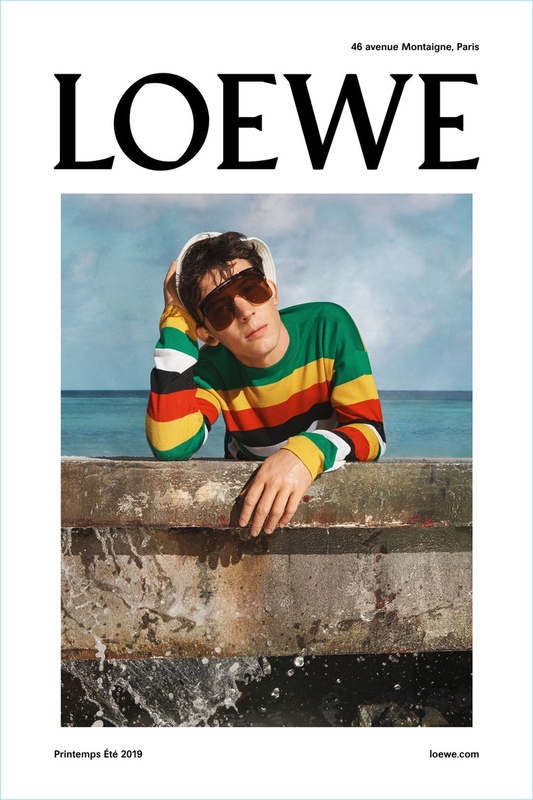 Actor Josh O’Connor wears a colorful striped sweater for Loewe's spring-summer 2019 campaign. 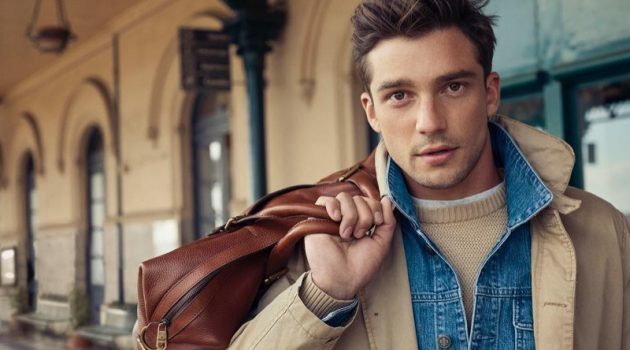 Josh O'Connor reunites with Loewe for its spring-summer 2019 campaign. 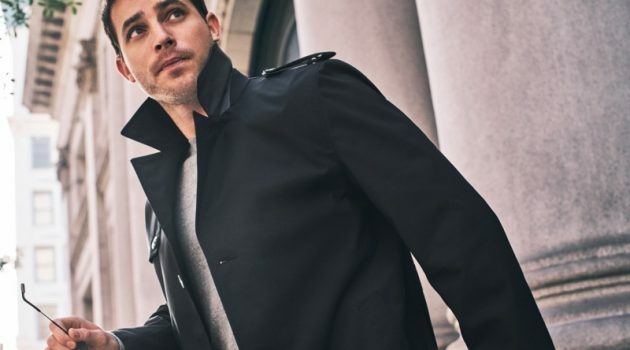 The British actor appears before the lens of photographer Steven Meisel for the advertisement. Sporting oversized sunglasses and a bucket hat, O'Connor sports a colorful striped Loewe sweater. 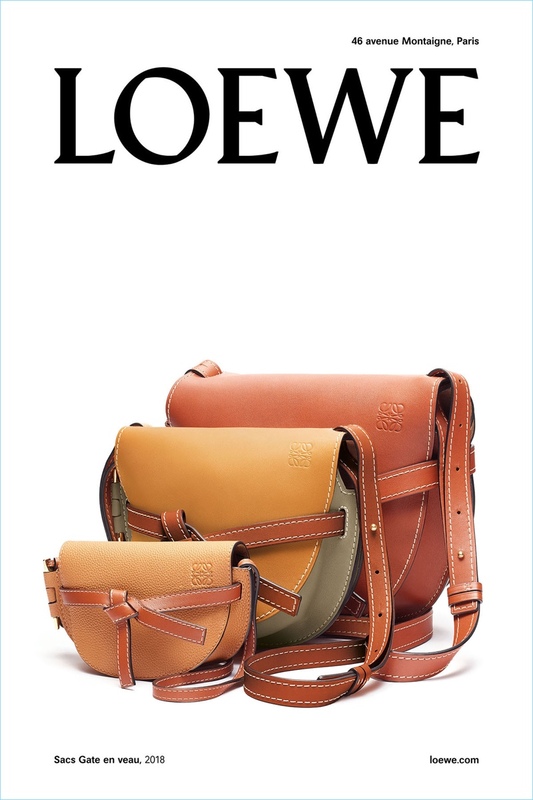 This season also sees a spotlight placed on Loewe's Sacs Gate bag. The style comes in various sizes and shades of brown. Typically leaving room for Meisel to showcase his own work for the campaign, this spring turns the focus on the photographer. 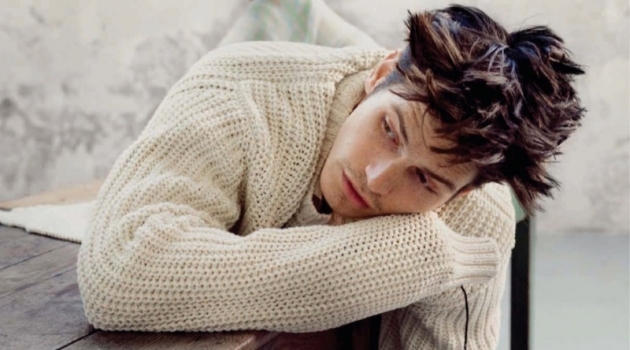 He photographs Oscar Kindelan as a younger version of himself. 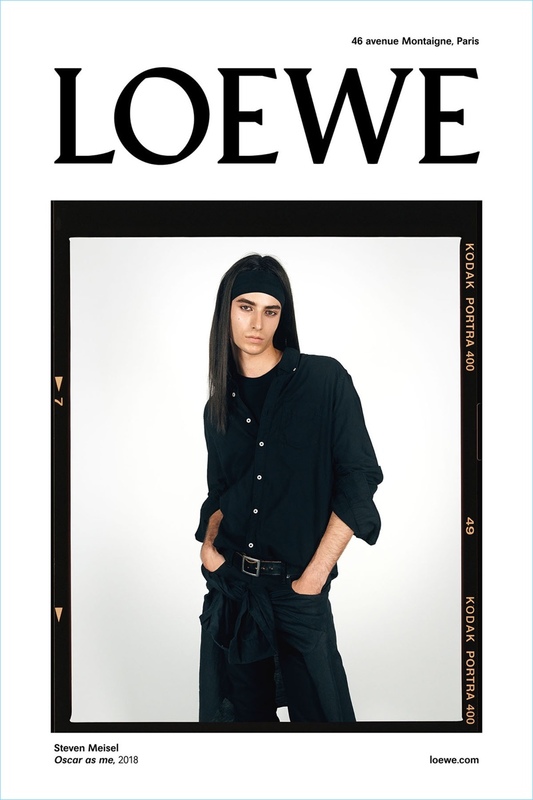 Oscar even has the long hair and all-black attire down to a t.
Loewe highlights its Calf Gate bag with its spring-summer 2019 campaign. 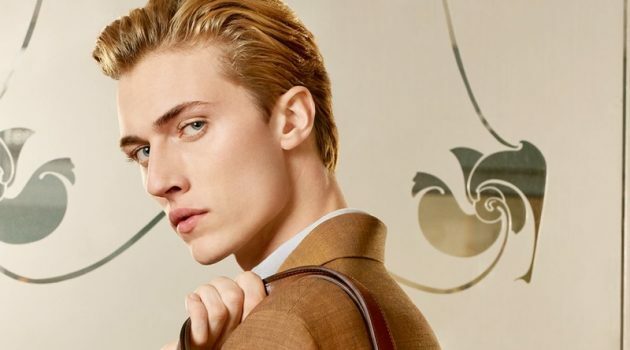 Model Oscar Kindelan portrays Steven Meisel for Loewe's spring-summer 2019 campaign.